Ibo is a current client at Ruiru center. She is a 37-year-old single mom to five children ranging in age from 20 to 7 years old. Ibo found out that she was HIV positive in 2011 when she was pregnant with her youngest child. Since then, she has been living with strong self-stigma because of her status. When she gave birth to the baby, she was so ashamed that she rejected the child, often leaving him locked inside their home all day long without care hoping he would die. Miraculously, her baby survived. Anne is a graduate of Waithaka center from 2016. Six months after graduation, her class had a follow-up meeting at the center. 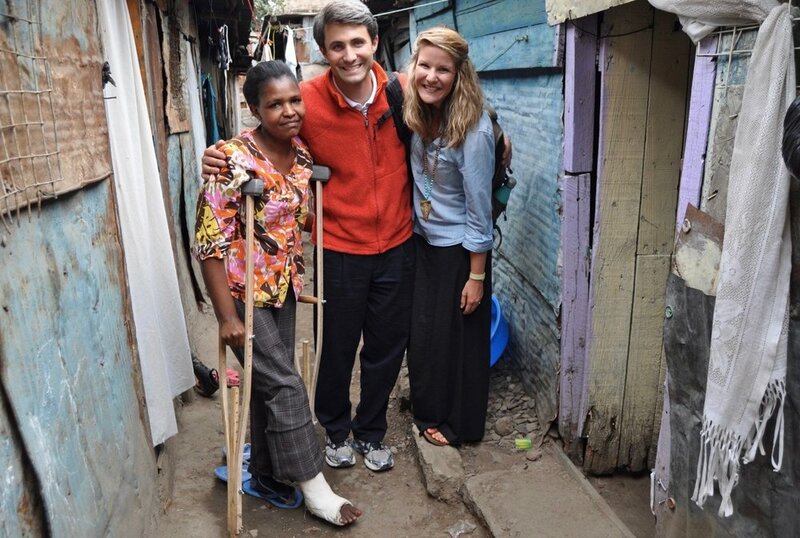 To close the meeting, Anne stood before the entire class and gave this inspiring testimony. Waithaka center is led by Dorcas Mwende, the Health Counselor, and Dan, the Spiritual Counselor, both of whom Anne references in her story. “One day, Mwende came and found me at my house. At that time my CD4 count was 202*. I felt like I was dying. On the day Mwende came, I had bought 4 packets of rat poison. It was enough that I could take and kill myself. Mwende brought me here to the church. After some time, I told her I needed to hurry up and leave. I wanted to get back home before the kids got back from school. I wanted to the take the poison and die before the kids got home. But Mwende went back home with me. She stayed until 4 pm, after the kids had already returned home. So I didn’t take the poison. This is how God lifted and preserved my life. When I found out that I had tested positive, I thought that everything was gone. I thought I was the only one in the whole world in this state. But then Mwende brought me to this church. Can you imagine someone who intended to take rat poison is where I am now? I wanted to kill myself but now I stand here today and I’ve even brought another life into this world**. All I can say is that CFA truly brought from the ground all the way up. From this program I’ve learned how to make soap and I’m proud to sell it. I also have learned how to do tie and dye; you may have even seen me wearing some of the work I have done. But what’s best about this program isn’t the skills or the food we receive, but that the word of God is taught. You know, I never used to smile, but now you see that I can smile. Dan used to call me and I would tell him to stop calling because I was in the company of others and I didn’t want them to overhear. But now, I can pick up the phone and respond anywhere. You can even look at me and see that I am fat now***. This is a group that will raise you from the ground up. From zero to hero. *** Being “fat” means that she is healthier, that she has been able to eat well and gain weight. That she isn’t sickly like she was before. 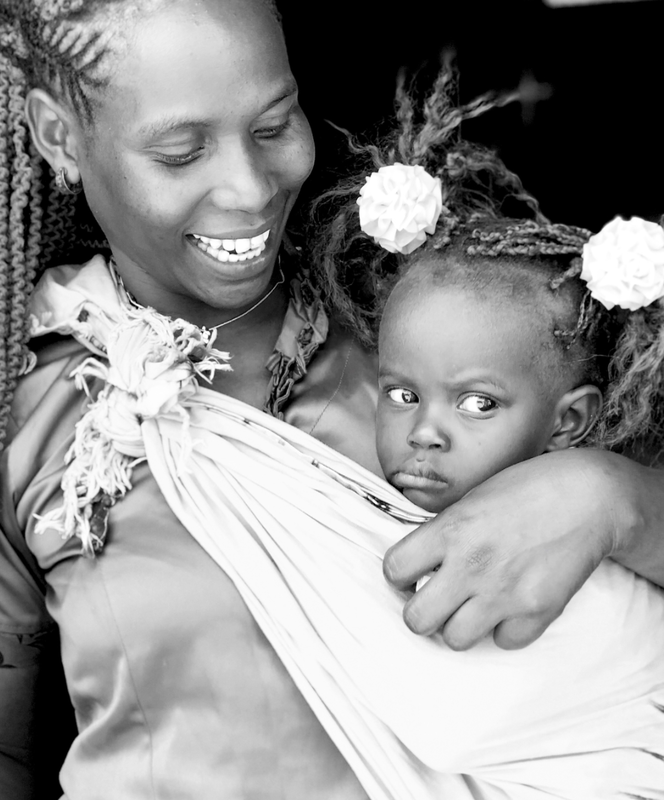 In May of last year, Judy was a successful business woman in a slum area outside of Nairobi. She made a living selling produce at the local market and led a good life with her family. One day when Judy was on her way to work, she was struck by a moving vehicle that veered off the road. She was severely hurt and was taken to the local hospital. 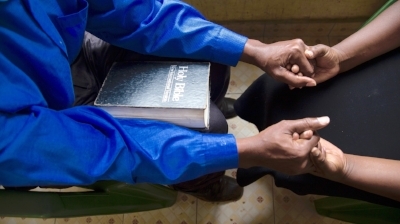 While being treated for her injury, Judy learned that she was HIV+. She explained that this left her feeling confused, scared for her life, and scared for her family. Knowing this could ultimately orphan her children, she finally found the courage to tell her husband. Her husband in turn left her insisting she had been unfaithful. To add to the tragedy, she did not have health insurance and learned she had broken her upper and lower leg and would need a full leg cast. The cost of this treatment emptied the money she had saved for her children’s schooling and for the family’s rent money. Judy had no option but to send her children to live with family and move to a different slum area to recover. In an instant, Judy was left without a husband, without her children, without her home, without her savings, and with a disease she was confident would take her life and orphan her children. Around this time, she heard her neighbors talking about the church close to them. She overheard a little about the CARE for AIDS program and decided to give it a try. She explained that she had come to terms with dying and felt like she had no other option. When my husband and I met Judy in September, she was halfway through the 9 month empowerment program and was full of hope and determination. She told us something I remember as profound, that she was thankful for her status. Judy shared that If it hadn’t been for her HIV+ status, she never would have met Jesus or learned what it meant to live with the peace and grace of God. Judy was excited to heal, resume working, bring her children home, and begin ministering to others like her in her community. She said she was determined to use her status and her situation to glorify the Lord. It was an absolute joy to visit Judy in her home. I was a farmer in Busia. I had a husband and one child, and I was so happy. I loved my farm, and would work in it every day, selling some of the produce and feeding my small family with the rest. One day I was going to the clinic for routine check ups with my first born. They talked to me about HIV and I decided to get tested. I was shocked to find that I was HIV-positive. I kept it to myself, and didn’t let it affect me. I just kept working on my farm and living my life. My husband, I found out later, was unfaithful to me. Many times. Because of HIV, and my weakened immune system, I received many STDs from him that he brought from outside. After some time, I realized that I was pregnant again. For the baby’s sake, I decided to tell my husband about my status so he could help me stay healthy. He left me. His family told me that I no longer belonged to them, so they took my farm, and the house. I was devastated, but I didn’t rest. I moved to Nairobi to look for work. I needed to take care of my children. After some time of not finding a job, I was becoming desperate. Life in Nairobi is hard. I have an Aunt who lives in Mombasa, and she told me I could come stay with her while looking for a job. Shortly after arriving in Mombasa, I gave birth. I gave birth in my room, alone. I was afraid to go to the clinic, because I knew they might reveal my status to my Aunt and I didn’t know how she would react. Looking back, I know this was foolish. Without the help of doctors (and I wasn’t taking my HIV medicine) the risk of passing the virus to my child was high. I wanted to breast feed, so for the first time, I started taking ARVs (Anti-retroviral drugs to control and diminish HIV). At this time, I also moved into my own place because I was so afraid of my Aunt finding out, but after some time I started getting sick on and off. Sometimes I couldn't get out of bed. I needed my Aunt’s help with the children, so I finally decided to tell her about my HIV. My greatest fears came true. She went mad, and started shouting at me, and went outside and starting shouting to the neighbors telling them my status! I ran from there. I was crying. I couldn’t believe what she did. In that moment she became my enemy... my own family. She should have helped me. During that time I became so depressed. I stayed inside all day. I never went out. Sometimes I could hear my neighbors talking about me and about my status. I couldn’t go out and face them. I still needed money to take care of my children, so I started making changa’a (moonshine). I would make it at night and sell it at night so I never had to go outside during the day. To make things worse, during this time the medicine I was taking was making me hallucinate. Once, when I was taking the pills, they turned into little coffins and floated around. Sometimes, I couldn't stand up after taking them because I was so dizzy. This time was so hard for me. Once, I drank battery acid trying to end my life, but I threw it all up. I knew I needed to change my prescription because the medicine shouldn’t have been affecting me that way. So, I decided to go to the clinic to get new drugs. My stigma was so high, it took me multiple attempts to go inside. I would walk up to the door, and at the last minute I would just keep walking. When I finally one day decided to go in, I saw a lady that I knew. It terrified me to see her, but I was already inside, so I just sat down. She came over and greeted me. She was so kind, and encouraged me, and we exchanged phone numbers. Her name is Agatha. Shortly after that, I got a job working as a maid. The woman I worked for was a professional counselor. She would talk to me, and was helping me start to overcome my stigma. After a few weeks, Agatha called me, and said there was a program that would give me weekly food packages. I wanted this for my children, so one day I got permission from my employer, and I went to Agatha’s house. There, I met John and Sarah, from Mikindani (CARE for AIDS' first center in Mombasa). They told me about the program and registered me to join. My stigma was still very high, so after they left, I waited a few hours to leave. I didn’t want anyone to associate me with them, because they were known for working with HIV. My first breakthrough happened at the launch (the very first day of the program where all the clients come together for orientation, fellowship, and a meal). I walked in, and I saw amongst the other clients many people that I knew. Some of them were my neighbors! I never knew that they were HIV-positive. I just laughed. We had all been hiding from each other! Through the counseling from John and Sarah, things starting improving quickly. I started feeling hopeful. I started gaining weight - I was under [90 pounds] when I started the program, now I’m around ! One day, some people came to John and Sarah looking for some of us who would be willing to share about our status. I volunteered. Only a few months previous, I was afraid to go to the clinic to get my drugs, now I was at that same clinic talking to over a hundred people about my status, encouraging them to get tested. The clinic really liked me, and the hired me as a peer counselor and community mobilizer. In November we went on a campaign where we traveled around different cities sharing about HIV. Can you believe that? Me! Talking into a microphone about my status. I’m so grateful to CFA. I graduated in January, and my life has completely changed. I’m living a good life now. I don’t make illegal brew anymore. I don’t hide in my house anymore. I forgave my Aunt, and she has accepted me. She’s even my best friend now. People know me now. They invite me to speak. People call me to order cakes - I’m really good at baking. Another thing - when I first came to CFA, I wasn’t going to church. Now I do. I’ve seen how God takes care of us, and how He has a plan for us. I joined a church. I am trying to follow Him. I’ve seen that when we are close to Him, He really blesses us. For example, after joining that church, they enrolled my children in a program that connects them to sponsors who pay for their school fees. That has helped me so much. I’ve come a long way from my life in Busia when I was a farmer. For the first time since then, I can say again that I have a good life. Thank you CFA for helping me find it.